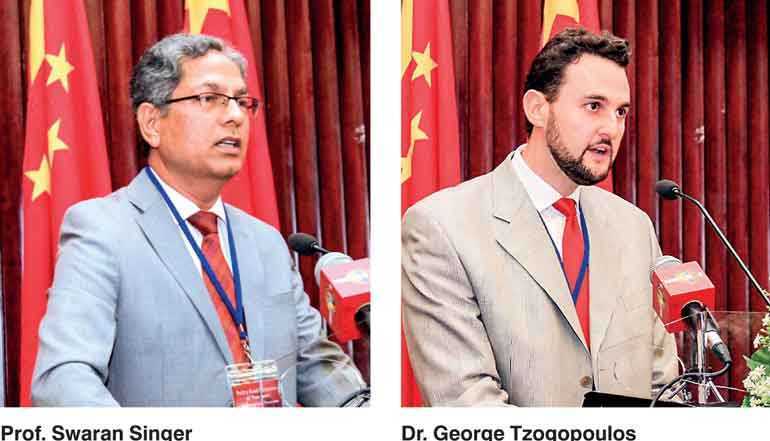 An international seminar under the theme of ‘BRI at Five Years – Regional and Global Dimensions’ jointly organised by the Chinese Embassy and the Bandaranaike Center for International Studies (BCIS) was successfully held in Colombo on 16 November to mark the fifth anniversary of the Belt and Road Initiative (BRI). 21 leading scholars from 10 countries, including China, Sri Lanka, Pakistan, India, Bangladesh, Nepal, Singapore, Spain, Greece and Kenya participated in the seminar. Around 300 representatives from various sectors of Sri Lanka and foreign diplomatic corps attended the event. Ambassador Cheng Xueyuan attended the opening ceremony and delivered a speech. In his speech, Ambassador Cheng stressed that the BRI has provided the world a Chinese and common solution to promote the development of the world economy and the reform of the global governance. Over the past five years, the BRI has developed from an initiative to a reality, from a vision to an important platform, and become more and more popular around the world. In the last five years, in-depth exchanges and cooperation in various fields has blossomed under the BRI framework. The pragmatic cooperation between China and Sri Lanka has made a great contribution to the latter’s development, and also brought tangible benefits to the two countries and two peoples. Ambassador Cheng emphasised that the BRI consists five connectivities, among which ‘policy connectivity’ is the start and ‘people’s hearts connectivity’ is the end. As a new initiative, it needs to keep advancing in the exploration, keep growing in the challenge, and keep innovating in the development. Ambassador Cheng encouraged all scholars and audience to make full use of the seminar, to have an in-depth discussion, to contribute more wisdom and inject new momentum to this great initiative. The Ambassador also sincerely called all Sri Lankan friends to join hands with China, concentrate in promoting the bilateral pragmatic cooperation under BRI framework and jointly build a beautiful future for the two countries and peoples. After Dr. Rong Ying (Vice President of the China Institute of International Studies) delivered a keynote speech, going through the last five years of the BRI and highlighting the future plan and emphasis of the Initiative, the floor was given to all the scholars to discuss the Initiative from national, regional and global perspectives. Prof. Amal Jayawardena (Senior Professor of the Sir John Kotelawala Defense University) and Amb. Bernard Goonetilleke (former Foreign Secretary and Chairman of the Pathfinder Foundation) chaired the panel discussions. Prof. Swaran Singh (Jawaharlal Nehru University, New Delhi) stressed that the South Asia have all been involved in the BRI while its modalities also need to be adjusted accordingly for this region. Indian politician and columnist Sudheendra Kulkarni urged the Indian government to change the mindset and actively participate in the BRI. Besides, Dr. Chan Hing Lee Henry (Senior Visiting Research Fellow, Cambodia Institute for Cooperation and Peace), Dr. George Tzogopoulos (Senior Research Fellow, Centre international de formation européenne, France) and Prof. Macharia Munene (United States International University – Africa, Kenya) respectively did their professional representation on BRI from ASEAN, European and African perspectives. 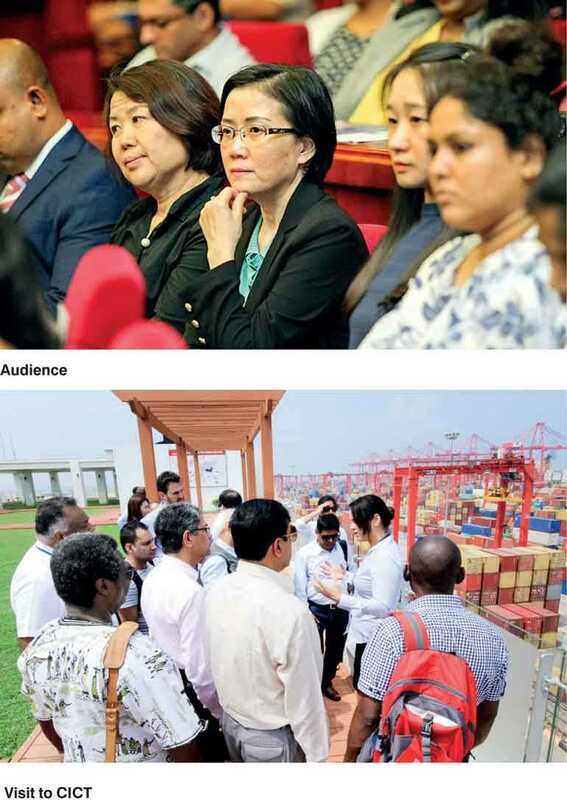 On the sidelines of the seminar, foreign scholars also visited the mega-projects under the framework of BRI, which was jointly built by China and Sri Lanka, including the Colombo Port City, the Colombo International Container Terminal (CICT) and the Hambantota Port.